This species is listed in CITES Appendix II and zero export quotas were established for wild-caught specimens traded for primarily commercial purposes in 2000 (CoP11). It is found in protected areas within its range, but has been hunted out of some, especially in Thailand (Anak pers. comm. 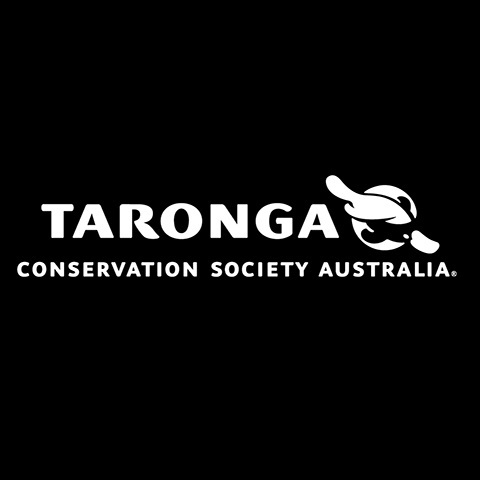 c. 2008) and more effective enforcement of existing laws is critical for the conservation of this species. Identification and verification of strongholds where conservation efforts should be concentrated is also crucial. More research into pangolin consumption is also needed urgently with which to inform demand reduction programmes, especially in China. The Sunda pangolin is listed as a protected species in all range states, with the exception of Brunei Darussalam, where it receives broad protection under the Forestry Act (2002) and Wildlife Protection Act (1981) as well as the Wild Fauna and Flora Order (2007) which implements CITES. In Singapore, the species is protected under the Wild Animals and Birds Act (1965, amended 2000) and the Wild Animals and Birds (Composition of Offences) Order 2005. It also receives protection here under the Endangered Species Act (Import/Export) Act (2006, amended 2008). In Viet Nam this species is listed as legally protected in Group IIB of Decree 32 on the Management of Endangered, Precious, and Rare Species of wild Plants and Animals (2006). However, Section 9 of this law enables pangolins seized from illicit trade to be legally sold back into trade. Lack of an appropriate solution for confiscated pangolins continues to be a major problem for enforcement agencies in Viet Nam. Manis javanica has been protected in Indonesia since 1931, under Wildlife Protection Ordinance No. 266 of 1931 (promulgated by the Dutch administration), as well as under Act. No. 5 of 1990, regarding Conservation of Natural Resources and Their Ecosystems; Decree of the Minister of Forestry No. 301/kpts-II/1991 and Decree of the Minister of Forestry No. 822/kpts-II/1992. 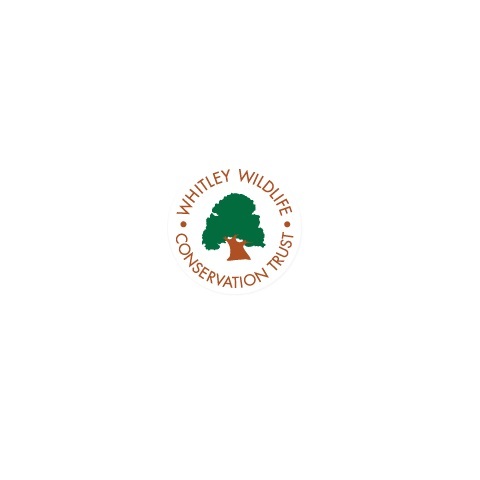 It also receives protection under the Government Regulation on Conservation on Flora & Fauna No. 7 (1999). Manis javanica is a totally protected species in Peninsular Malaysia under the Wildlife Conservation Act (2010) and receives protection under the International Trade in Endangered Species Act (2008). In Sabah it is listed as protected in the Wildlife Conservation Enactment (1997) while it is also listed as protected in Sarawak under Sarawak's Wildlife Protection Ordinance (1998). In accordance with the Wildlife and Protected Areas Law (1994) M. javanica is listed as a Completely Protected Animal in Myanmar. In Lao PDR Manis javanica is listed in the 'Prohibition' category of its Wildlife and Aquatic Law (2007) as a rare, near extinct, high value or species of special importance in the development of socio-economic, environmental, educational and scientific research. In Cambodia this species is listed as rare in the Ministry of Agriculture, Forestry and Fisheries (MAFF) Declaration 020 and receives protection under the Forestry Law (2002) and Sub-Decree No. 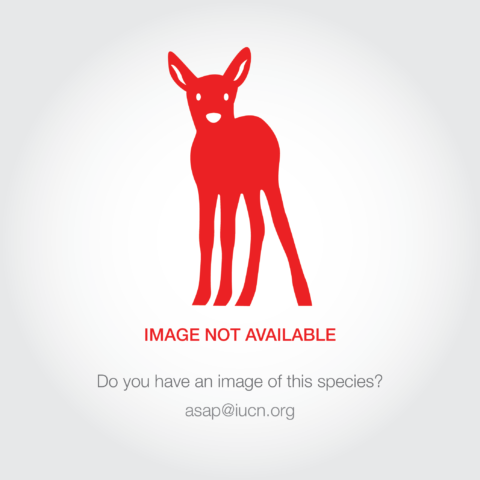 53 on international trade in endangered species of wild fauna and flora (2006). 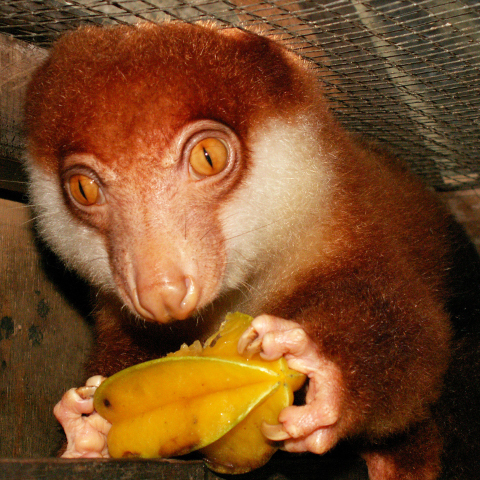 Although not listed as a protected species in China, as a CITES Appendix II listed-species, Manis javanica is considered a State Category II protected species here under regulation including the Protection of Wildlife Act (1989), the Regulations on the Implementation of Protection of Terrestrial Wild Animals (1992), and the Regulations on Management of Import and Export of Endangered Species of Wild Fauna and Flora 2006, which implements CITES. Pangolins in China also received further protection in the year 2000, following the promulgation of two judicial interpretations, which defined criteria for punishing crimes involving pangolins specifically. Similarly, a notification issued by national Chinese agencies in 2007 strengthened regulation for species used in traditional medicines, including pangolins, meaning hunting licenses for pangolins are not to be issued and existing stockpiles of pangolin scales are to be subject to verification, certification and subject to trade only through designated outlets such as hospitals. The species is widely distributed geographically, occurring across mainland and island Southeast East Asia, from southern China and Myanmar through lowland Lao PDR, much of Thailand, central and southern Viet Nam, Cambodia, to Peninsular Malaysia, to Sumatra, Java and adjacent islands (Indonesia) and to Borneo (Malaysia, Indonesia, Brunei) though the northern and western limits of its range are poorly known (Schlitter 2005, Wu et al. 2005). It has been recorded from sea level up to 1,700 m asl. This species is distributed in central and southern Myanmar (Corbet and Hill 1992, Salter 1983), but has apparently been eradicated widely from lowland areas due to human agricultural expansion and hunting (J.W. Duckworth pers. comm. 2006). The species historically occurred throughout Thailand (Lekagul and McNeely 1977, Bain and Humphrey 1982, WCMC et al. 1999), but has since been lost from much of the lowland areas due to human agricultural expansion and hunting (J.W. Duckworth and R. Steinmitz pers. comms. 2006). Camera trap data confirms the presence of the species in Khao Yai National Park (Lynam et al. 2006 in Newton et al. 2008). In Viet Nam, there are records which very in reliability from throughout the central and southern parts of the country. There are older records from Kon Tum Province, Tay Ninh Province and Quang Nam Province (Bourret 1942). There are more recent records (summarised by Newton 2007) from: Ha Tinh Province (Timmins and Cuong 1999); Kien Giang and Ca Mau Provinces (in U Minh Thuong National Park) (CARE 2004); Dong Nai, Bin Phuoc and Lam Dong Provinces (Cat Tien National Park) (Murphy and Phan 2001); Quang Binh (Le et al. 1997b) and Dak Lak (Le et al. 1997a). Recent research suggests the species is present but rare in central and southern Viet Nam (MacMillan and Nguyen 2013, Nuwer and Bell 2013). However, it is understood to be present in Cat Tien National Park and recent enforcement activity suggests the species is still present in Dak Nong, Kon Tum, Quang Binh and Gia Lai provinces as well as U Minh Thuong National Park (L. Fletcher & A. Nguyen, pers. comms. 2013). Based on camera trap data it is also present in U Minh Ha National Park (Willcox et al. in prep.). This species was presumably widespread in Lao PDR historically. There are records of varying reliability from a wide range of areas below c. 600 m asl altitude, though it is possible that in Lao PDR the species is restricted to the Mekong plain and adjacent foothills up to c. 900 m asl, with a possible occurrence on the Bolaven Plateau, north from Xe Pian National Biodiversity Conservation Area in the south at least as far north as Nam Kading (Duckworth et al. 1999, J.W. Duckworth pers. comm. 2006). Nooren and Claridge (2001) reported that populations in Lao PDR have been severely reduced as a result of hunting for consumption and trade. In Cambodia, M. javanica has been recorded as present from 150 m to 800 m asl (A. Olsson pers. comm. 2012). According to hunters in Cambodia, its distribution is concentrated around water bodies in the dry season, though in the wet season is present throughout deciduous forest, low land and mountainous evergreen forest and secondary forest. Although it is widely distributed in Cambodia, hunters infer that it now only occurs in low numbers. The species is widely distributed geographically in Peninsular Malaysia, primarily in forest, but also in gardens and plantations, including oil palm and rubber plantations (Medway 1977; Numata et al. 2005). It is also found on the island on Penang. Numata et al. 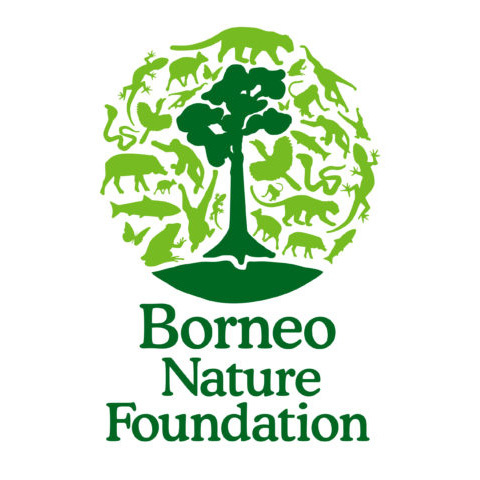 (2005) and Ickes and Thomas (2003) note its presence in oil palm and regenerating lowland dipterocarp forest in and around Pasoh Forest Reserve where it was previously considered common. Manis javanica remains present within oil palm plantations in Selangor and Negri Sembilan, Peninsular Malaysia, based on interviews with plantation workers (Azhar et al. 2013). However, Azhar et al. (2013) report that in areas where interviews have been conducted that it is in decline from hunting for trade. This species is widely distributed on Borneo, from sea level to 1,700 m asl on Mount Kinabalu in Sabah (Payne et al. 1985). It has been recorded in mixed dipterocarp forest, riverine forest (Azlan and Engkamat 2013) as well as remnant forests here (Giman et al. 2007). It is rarely seen in Sabah, especially compared to ten years ago (Panjang, E. pers. comms. 2013), although it is evidently widely distributed, being known by local people throughout the state (Davies and Payne 1982). The species is reportedly still found in Kebun Cina Forest Reserve (Sabah; Damit 2009) while data from Sabah Wildlife Department suggest the species is mainly distributed in central Sabah (E. Panjang pers. comm. 2013). Surveys conducted in 2005 report the presence of the species at Bintulu, Sarawak (Wilson et al. 2006) though it appears to be absent from the extensive peat swamp forests in this state (CITES 2000). The species is presumably present in Brunei, which was reported by Medway (1977), and which is supported by the 'rescue' of a small number of individuals here in 2013. The abundance of this species is understood to be low in the peat-swamp forests of east and central Kalimantan (Indonesian Borneo; S. Cheyne pers. comm. 2012) but otherwise has a widespread distribution in Indonesia on Sumatra, Java, Borneo, Kiau and Lingga archipelago, Bangka and Belitung, Nias and Pagi islands, Bali and adjacent islands (Corbet and Hill 1992). The species is still found in the wild in Singapore and adjacent islands, including Pulau Tekong, and potentially Pulau Ubin (CITES 2000, Lim and Ng 2007). In the northern part of its range, the species probably does not widely occur above 600 m asl (J.W. Duckworth pers. comm. 2006). In Sabah it has been recorded up to 1,700 m asl (Payne et al. 1985) and there is a specimen in the Natural History Museum (London) from 1,500 m asl from Lombok, Indonesia (P. Newton pers. comm. 2008). 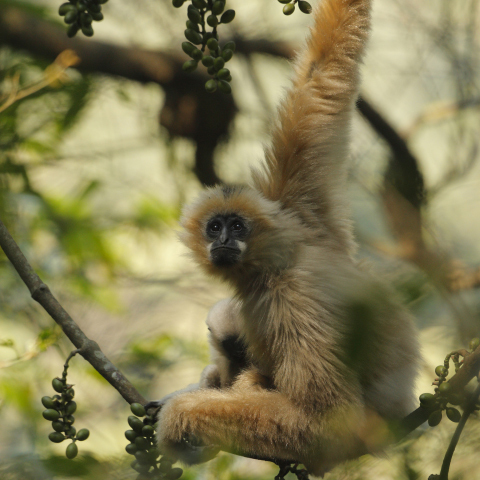 Again in the northern parts of its range, the species overlaps with the range of Manis pentadactyla, which is generally said to occupy higher altitudinal habitats, though recent interviews with hunters in Viet Nam suggest that they can be found in the same areas of forest, and that the differences between the species are ecological, relating to diet and habitat use, rather than altitude (P. Newton pers. comm. 2008). There is virtually no information available on population levels of any species of Asian pangolin and no comprehensive population estimates. This species is rarely observed, principally because of its increasing rarity, but also because it is secretive, elusive and primarily nocturnal. There is a paucity of research on population densities at local, national and global scales (WCMC et al. 1999, CITES 2000). This species is now extremely rare in the northern part of its range (J.W. Duckworth pers. comm. 2006) where there have been massive declines, especially in Lao PDR (Nooren and Claridge 2001), though populations appear stable in Singapore (B. Lee pers. comm. 2013). Here, Lim and Ng (2007) estimated the range size of one individual, but made no estimate of total population size or density. Recent revision of the national Red List assessment in Singapore lists the species as Critically Endangered (Singapore Red Data Book 2008). It is similarly listed as Endangered in Viet Nam (Viet Nam Red Data Book 2007), 'Rare' in Cambodia (2003) and Vulnerable in Peninsular Malaysia (2012). In three areas of Viet Nam where interviews were conducted (Khe Net Protected Area, Ke Go Nature Reserve and Song Thanh National Park), 95% of hunters here believed pangolins populations have declined severely, which is a consequence of hunting pressure (Newton et al. 2008). Hunters reported that populations had massively declined in the last few decades, but particularly since about 1990, when the commercial trade in pangolins began to escalate (Newton 2007). In all three areas, the species was described as now being extremely rare. The intense biodiversity survey effort and extremely limited number of confirmed records of pangolins throughout Viet Nam's protected areas adds weight to this observation (P. Newton pers. comm. 2008). The rarity of the species was highlighted in more recent research in U Minh Thuong National Park (Nuwer and Bell 2013) and Quang Nam Province (MacMillan and Nguyen 2013). In a number of reserves in the Cardomom Mountains, Cambodia (the Elephant mountains, Central Cambodian Lowland Forests (Prey Long), Eastern Plains Landscape, Northern Plains and Northeast Cambodia) this species is present but populations are declining. Interviews with hunters suggest the species is absent in some of these areas, which is attributed to hunting (A. Olsson pers. comm. 2013). In three separate areas within the range of Manis javanica in Lao PDR (Xe Pian, Dong Phou Veng and Khammouan Limestone NBCA), villagers reported in the late 1990's that pangolin populations had declined due to hunting, in some areas to as little as one percent of the level 30 years ago, i.e. since the 1960's (Duckworth et al. 1999; Nooren & Claridge 2001). This species is present in Peninsular Malaysia, where it has previously been described as common in some areas, at least up until 1999 (Ickes and Thomas 2003). Azhar et al. (2013) report its presence in oil palm plantations in Selangor and Negri Sembilan though it is subject to very heavy hunting pressure here. According to Numata et al. (2005) the species is present in Pasoh Forest Reserve. Based on recent camera trap data, the species is also present in the Kenyir Wildlife Corridor (D.W.S. Challender, pers. comms. 2013). However, interviews with hunters and villagers in 2007 and 2011 indicate populations in Peninsular Malaysia are decreasing as a result of hunting pressure for trade (D.W.S. Challender pers. comm. 2013). In Sabah, Manis javanica has previously been considered relatively common (Han and Giman pers. comms. 2008 assessment), and though there is little recent data on the species' status here, populations are under pressure from collection for both local use and international trade, which seems to have intensified in recent years based on available evidence, and which could well be having a detrimental impact on population levels (Pantel and Anak 2010). For example, Pantel and Anak (2010) report that >22,000 pangolins were collected for trade in an 18-month period here between 2007 and 2009. There is no recent data on the status of this species in Myanmar though seizures involving the Sunda pangolin in China in recent years infer that trade originated in Myanmar suggesting populations of this species here are under threat (Challender et al. in prep). M. javanica is considered threatened and becoming increasingly rare in Thailand (Bain and Humphrey 1982, Steinmitz pers. comm. 2006). Evidence from seizures involving this species attest it is present in some number in Indonesia (Sumatra, Java and Kalimantan). However, the magnitude of international trade originating from Indonesia in the last decade suggests populations here are or could be in severe decline. Stating categorically that this is the case is difficult due to a lack of information on past or present population levels, and commands further research. However, bearing in mind the estimated generation length of seven years, the indiscriminate nature of poaching and the magnitude of seized trade, for example there have been seizures comprising 11, 14 and 17 tonnes between 2000 and 2013, each of which involved several thousand animals and which likely comprises only a fraction of the trade, supports this assertion (Challender 2011). Although Palawan in the Philippines was previously thought to be a stronghold for this species, here the species has since been re-categorized as the Philippine pangolin. The primary threat to Manis javanica is hunting and poaching for international trade, both targeted and untargeted, and which is largely driven by export trade to China, involving live animals, their meat and scales (Challender 2011, Pantel and Chin 2009). Local use also comprises a threat though evidence suggests this is now largely forgone in favour of international trade, given the high monetary value of this species (MacMillan and Nguyen 2013, Newton et al. 2008). In the last decade or so this trade has involved tens of thousands of Sunda pangolins and the species is evidently subject to very heavy collection pressure across much of its range, with the intensity of poaching having moved into the southern part of it's range. The nature of this trade suggests it is illegal and based on available evidence most trade in the last decade was destined for China and Viet Nam, where increasing wealth has seemingly led to an increase in the exploitation of this species in Asia (Challender et al. in prep., Challender and MacMillan 2014). In both China and Viet Nam pangolin meat is consumed as a luxury product and scales are used in traditional medicines in an attempt to cure skin ailments, improve blood circulation and stimulate milk secretion in lactating women, among other ailments including cancer (Ellis 2005, Yue 2009). Modern trade routes are both sophisticated and extensive occurring over land and by sea. Contemporary trade follows a heavy international trade historically and within the time frame of three generations of this species (estimated at 21 years). Based on CITES data between 1975 and 2011 trade in this species included nearly approximately 500,000 animals, which mainly comprised skins which were traded to North America and largely occurred between 1978 and 2000, i.e. before the introduction of CITES export quotas, which prohibit international trade in wild caught specimens of this species for commercial purposes (Broad et al. 1988; Challender et al. in prep.). However, evidence indicates a heavy, unrecorded and therefore likely illicit trade involving live animals and scales also occurred throughout this period (Anon. 1999, Li and Li 1998, CITES 2000, Newton et al. 2008, Wu and Ma 2007). Since 2000, and although the trade in skins appears to have ceased, as above, it now largely involves live animals, meat and scales (Challender 2011, Challender et al. in prep., Sopyan 2009). In Cambodia, the threat to pangolins from hunting is increasing due to rising prices and loggers are expending more effort hunting pangolins because of less luxurious wood in the forest (A. Olsson pers. comm. 2013). Economic land concessions, dam projects, infrastructure and the clearing of habitat also threaten the species here, as in Lao PDR, Myanmar and other parts of this species' range (A. Olsson pers. comm. 2013). Recent research in Viet Nam suggests pangolins hunted in Cambodia are illegally exported to Viet Nam (D.W.S. Challender pers. comm. 2013). In Lao PDR, interviews with villagers in the 1990s suggested populations had declined by up to 90% within a decade, i.e. between the 1980s and 1990s, though there is a lack of hard data supporting this (J.W. Duckworth pers. comm. 2006). More recently, and since populations in Lao PDR and Thailand have been greatly reduced, much recent trade has originated or being exported from Malaysia and Indonesia and destined for China, based on seizure data (GMA Indonesia Workshop 2006, Challender et al. in prep.). Both Lao PDR and Thailand play a key role as transit countries in regional trade involving live animals (D.W.S. Challender pers. comm. 2013). Indonesia has been illegally exporting large numbers of live animals as well as meat, especially in the last decade, some of which come from east Kalimantan (G. Semiadi pers. comm. 2006, Sopyan 2009). Targeted hunting is the biggest threat here especially on Sumatra, Kalimantan and Java as evidenced by seizures involving several thousands animals over the last decade (G. Semiadi pers. comm. 2013, Challender 2011, Pantel and Chin 2009). Malaysia has been experiencing targeted hunting almost exclusively for international trade in meat and scales in recent years and though this includes foreigners, it mostly involves Malaysian nationals. Reported price increases are acting as an incentive to poach and enter the species into national and international trade (Pantel and Anak 2010), which includes poachers coming in from outside (J. Chong pers. comm. 2012) and increasing land conversion for palm oil throughout Malaysia has also created easy road access for poachers. The longevity of palm oil cycles, i.e. removal of old palms and the replanting of new (c. every 12 years), suggests that where this species does persist in these habitats, it is not viable in the long term, though further research on this front is needed. In Singapore roadkill is probably the biggest threat to this species and though poaching does occur here, it is not thought to be a significant problem. The population in the southern part of Thailand has crashed because of trade and in the last few years many animals have been confiscated from illegal traders (Challender et al. in prep). This species is hunted by specially trained dogs, which can smell it out, making hunting much more effective and in Lao PDR such pangolin dogs are highly valued (up to USD 2000) (J.W. Duckworth pers. comm. 2006). Deliberate and accidental burning of forests, therefore habitat loss, also, constitutes a secondary threat to the species here. Every hunter interviewed in Viet Nam (n = 84) reported that they now sell all pangolins that they catch (P. Newton pers. comm. 2008). Prices are so high that local, subsistence use of pangolins for either meat or their scales has completely halted in favour of selling to the national/international trade (P. Newton pers. comm. 2008). The only occasions on which a hunter might eat a pangolin is if it is already dead when they retrieve it from a trap then they would use the meat and sell the scales (P. Newton pers. comm. 2008). The price per kg of pangolin, paid to hunters (in Viet Nam, at least) has escalated rapidly (at a rate greater than that of annual inflation) since the commercial trade in pangolins began to expand in about 1990 (P. Newton pers. comm. 2008). Prices paid to hunters now exceed US$95 per kg (Viet Nam, P. Newton pers. comm. 2008); US$45 per kg (Newton et al. 2008) and US$17 per kg (Indonesia, D. Martyr pers. comm. to P. Newton). The main threat in Viet Nam remains hunting therefore, including taking pangolins caught as non-target species. This species is in demand in urban centres such as Hanoi and Ho Chi Minh City both for meat, a luxury product, and scales, and which is attributed to increasing affluence following economic reforms in the 20th century. This species is known to be harvested for international trade in both live animals and scales in Myanmar, as evidenced by seizures in China.